This website provides simple explanations of the environmental legal system in Australia, particularly in the State of Queensland. It is an educational site intended to contribute to the international and national goal of sustainability by promoting practical understanding of the environmental legal system. 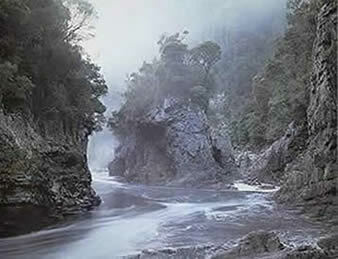 The main publication available here is Synopsis of the Queensland Environmental Legal System. This book explains the four layers of the Queensland environmental legal system: international law; Commonwealth law; Queensland law; and the common law. It provides short explanations of major international treaties and domestic legislation with links to useful websites for anyone interested in a particular topic. Case studies are provided of environmental litigation in Australian courts, particularly in the Federal Court of Australia and in Queensland courts. The case studies provide access to primary documents for environmental litigation. They are intended to provide a teaching and learning resource so that members of the public and students can understand the mechanics of environmental litigation, not just the end results shown by court decisions. The case studies form the basis of the course materials for Environmental Litigation (LAWS8187), a postgraduate law course offered by the Australian Centre for Environmental Law (ACEL) at the Australian National University (ANU) College of Law in Canberra. The case studies are also used for teaching in Regulatory Frameworks for Planning and Environmental Management at the School of Geography, Planning and Enviromental Management (GPEM) at The University of Queensland in Brisbane. Banner photograph: Hill Inlet, Whitsunday Island, Queensalnd, Australia, protected as part of the Whitsunday Islands National Park and Great Barrier Reef World Heritage Area.